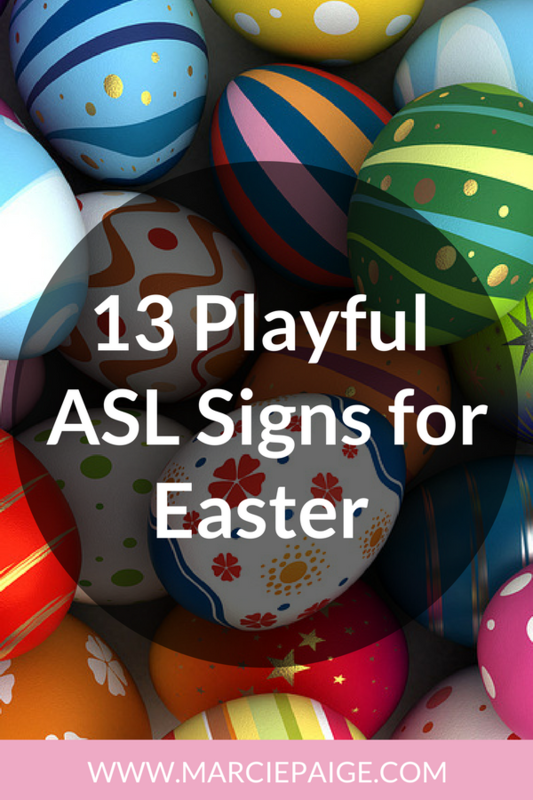 Learn the ASL sign for UP + the ASL sign for HELP. 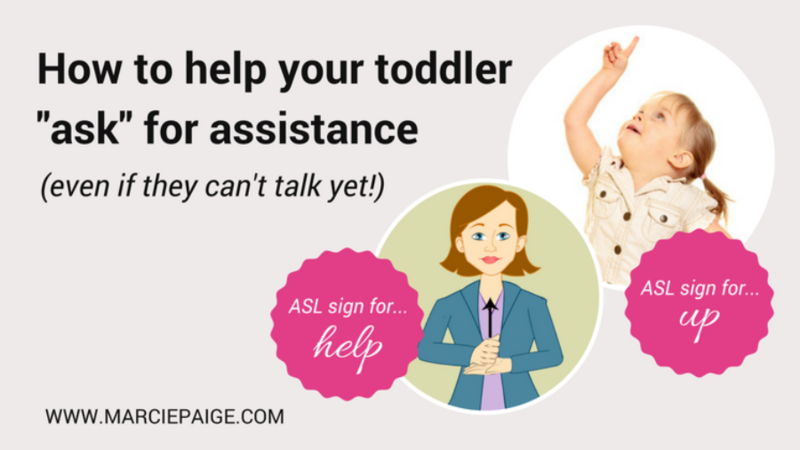 Two helpful baby signs my daughter used on a daily basis were — UP and HELP ME. I feel that it’s important to share these baby signs with you because the benefit of these particular signs is not obvious to everyone — and you may not think to search these ones on your own. My oldest daughter LOVED to be held or be near me – no matter what I was doing. Some might say she was a little clingy. But, she was my first and I loved every minute of it! That’s when I decided it was time to teach her the ASL sign for UP. After that, each time she wanted me to pick her up, she would grab my pant leg and sign UP. There were times I had to say, “just a minute” and she’d have to wait for me to pick her up — but, she didn’t get upset + was usually content to wait because she knew I wasn’t dismissing her + that I didn’t misunderstand what she wanted. Watch the video below to learn the ASL sign for UP – and how to introduce it in the right context. Pretty easy, right? Give it a try and let me know what you think! My second favorite ‘ask for assistance’ sign was – HELP or HELP ME. Whenever my daughter was playing with a toy that she couldn’t get opened, closed, adjusted just right, or to function the way she wanted it to — she would bring the item to me and sign HELP. She rarely threw a tantrum when things didn’t go her way because she could almost always just ask for HELP when she needed it. 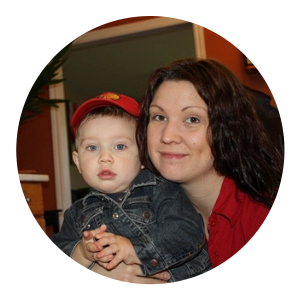 “The other day my son Curtis (14 months old) came to me when I was folding laundry and signed ‘HELP’. He wasn’t holding anything so I didn’t know what he needed help with. I said ‘show mommy’ (which has become a very helpful phrase in our house), and he took me to the living room where his friend Lincoln (12 months old) had his hand stuck in a toy firetruck window! How cute is that?! Up until then, he only used his signs to ‘get’ something he wanted. I was impressed my son could tell me his friend needed help”. Pretty AMAZING right?! And he was just 14 months old! I share stories like these to help parents realize that our babies + toddlers understand WAY more then they are able to express to you through talking. There are 2 versions of this sign. Don’t let that confuse you – watch the two videos and decide for yourself which one (or both) is the best fit for your family. Both are highly effective! To make this sign: Pat your chest with one or both hands. Video Transcript: This version of HELP ME is not a proper ASL sign. I learned this version from Sign 2 Me, and it’s the version I used with both my daughters. I liked this version of HELP ME because it’s one-handed and allowed my child to bring me an object or a toy that she was needing help with and — while signing at the same time. To make this sign: Make a fist with your dominant hand (If you are right-handed use your right hand. If you are left handed use your left hand), and place it on top of your other flat hand, palm side up. Raise both hands at the same time, just like you are helping one hand up with the other. Teaching strategy: When it’s obvious your baby needs help with something, ask ‘Do you need HELP?’ and sign HELP at the same time.